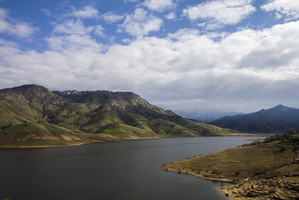 ​The mission of the Southern Sierra Regional Water Management Group (SSRWMG) is to provide a forum to discuss, plan and implement creative, collaborative, regional, integrated water/natural resource/watershed management actions that enhance the natural resources and human communities of the Southern Sierra Region. resolve regional and local conflicts and issues in a consensus-based, voluntary and non-regulatory manner. 1. Improve Water Supply Management – Ensure adequate water supply to meet the region’s expected surface and groundwater needs between now and 2050 while minimizing environmental impacts. 2. Protect and Improve Water Quality – Improve water quality to help ensure drinking water meets California health standards, and natural water bodies can support livestock and native wildlife. 3. Perform Integrated Flood Management – Develop strategies that improve environmental conditions in floodplain and riparian corridors, maximize natural floodwater retention strategies, and improve flood control facilities. 4. Improve Watershed and Environmental Resource Management – Promote best management practices for all land uses in the region: range, forest, agriculture, urban, and wildland-urban interface to protect ecosystems thereby improving water supplies and water quality. Preserve open space and natural habitats that protect and enhance water resources and native species. 5. Expand Stakeholder Education – Expand existing outreach efforts to educate the public, encourage participation, and promote the benefits of integrated regional water management. 6. Protect Unique/Important Environmental Resources – Focused protection and enhancement may be needed for certain unique and important environmental resources. Though much of the Southern Sierra is set aside in state or federally protected lands, there may be some areas that are not, but have unique and important areas that merit special protection. Some lands already have conservation easements through non-governmental organizations and other means. For those areas identified that have high value, are not protected, and are potentially at risk, easements and related methods could provide long term protection. 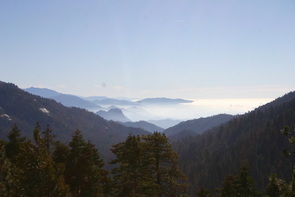 This goal includes providing further protection for unique areas on public lands, and encouraging private landowners to take voluntary measures to protect their land. 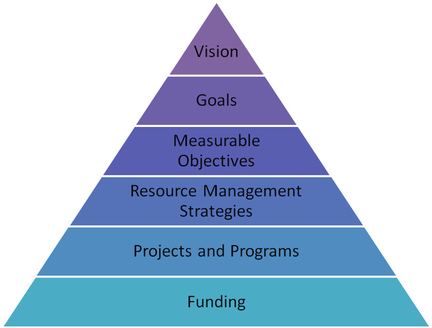 For a full list of objectives aligned with each goal and the methods for measuring success, please see the Southern Sierra Integrated Regional Water Management Plan, Chapter 3: Goals and Objectives. View the RWMG's outreach brochure.